Just had my annual check up (preparation for David’s return) and my lab results were in every way perfect, except that apparently, I have absolutely no vitamin D in my body. The normal levels range up in the 90’s and my level was so low as to not even rate a number. I was not surprised by the news; the only light I have received for months is from the weak glow of my laptop. It has been far too cold to venture outside for long and since sunlight is essential for acquiring this vital vitamin, I was instead prescribed massive doses of vitamin D. That, along with the welcome promise of warm weather will soon put me right. Yet the whole thing got me thinking about another deficiency in D that I have been suffering from for the past two years. By that I mean vitamin David. The symptoms for both are remarkably similar: a general feeling of being tired and a tendency toward depression. hmmm. Coincidence? I think not. It appears I am in good company as a cursory scan of twitter revealed several others who feel that David is sunshine incarnate. 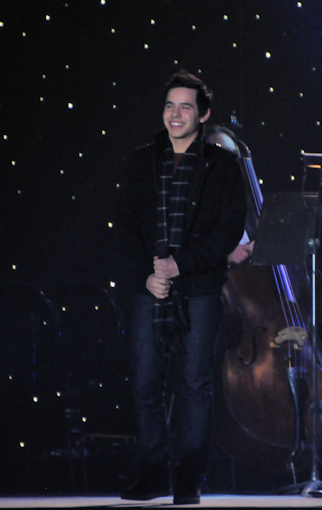 David Archuleta Is Coming Home and that means winter will be over! Hello Sunshine! 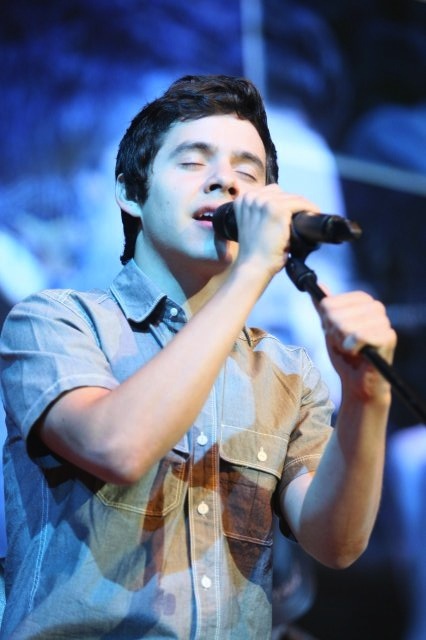 David Archuleta Is Coming Home at the right time ’cause we can sure use a little more sunshine right now. Welcome back Mr. Sunshine!! 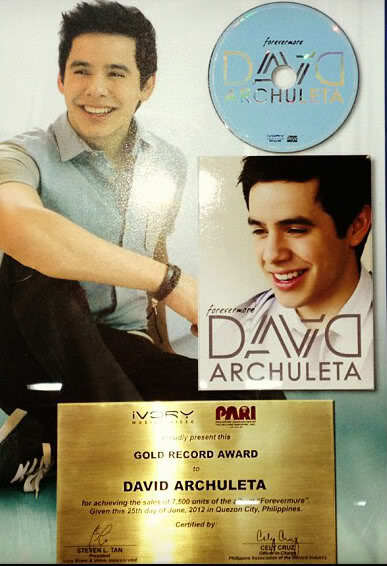 David Archuleta Is Coming Home. 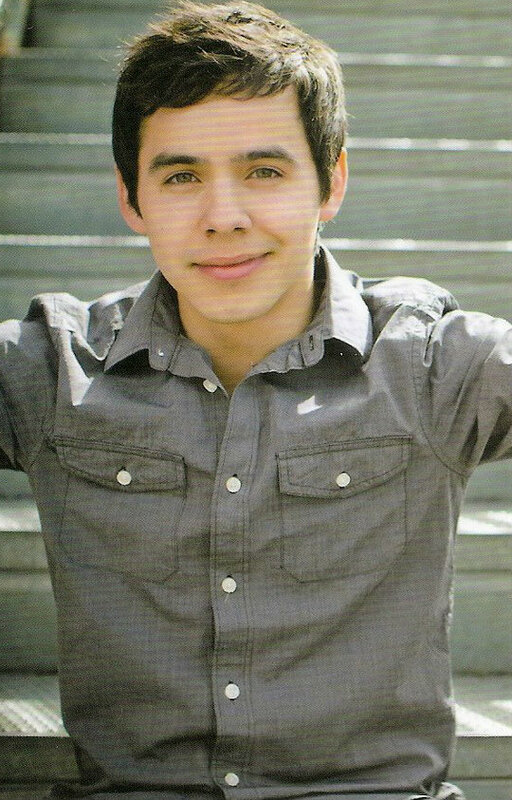 David Archuleta Is Coming Home.The sunshine is retuningto our lives. 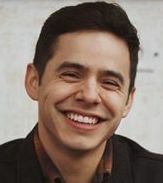 So it appears that many of us suffer from the same want: A severe deficiency in vitamin D caused by a lack of David Archuleta, i.e., Mr. Sunshine. There is no cure for ODD, but we know its cause and ODDly enough, it can only be managed with adequate exposure to it, uh, him. In short, we need our sunshine. 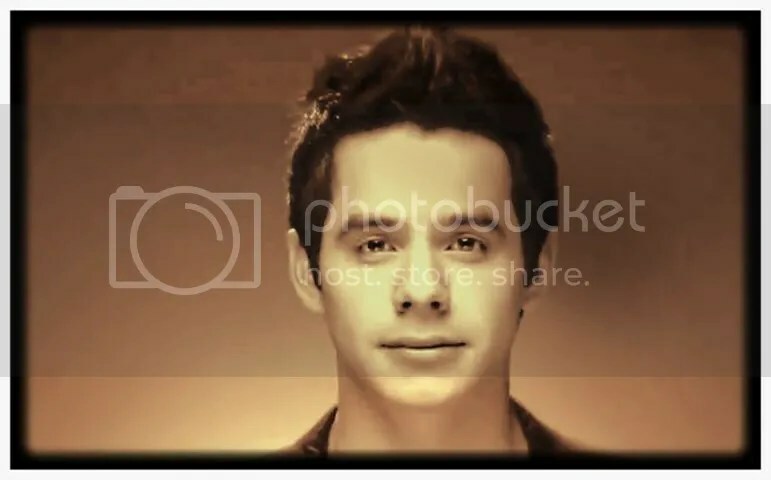 This entry was posted on Monday, March 10, 2014 at 3:03 AM	and is filed under @DavidArchie, @kariontour, Begin., Chile, David Archuleta, Mission, Personal freedom. 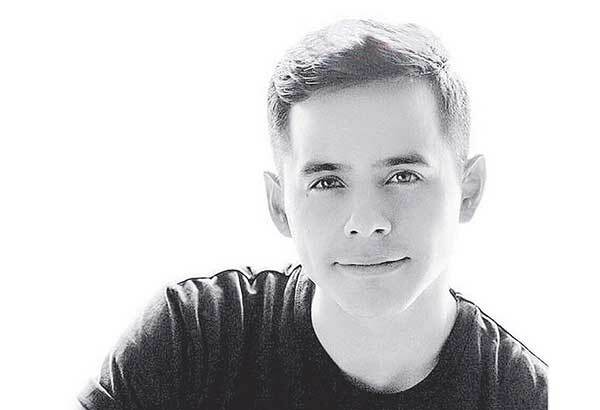 Tagged: #DA2014, @DavidArchie, Begin., Chile, David Archuleta, Mission accomplished?, Welcome Back David, Whenever you get back. You can follow any responses to this entry through the RSS 2.0 feed. You can leave a response, or trackback from your own site. How about this old song? It’s gonna be a bright (bright), bright (bright) Sun-Shiny day. Look straight ahead, nothin’ but blue skies. Sorry, I’m off topic. 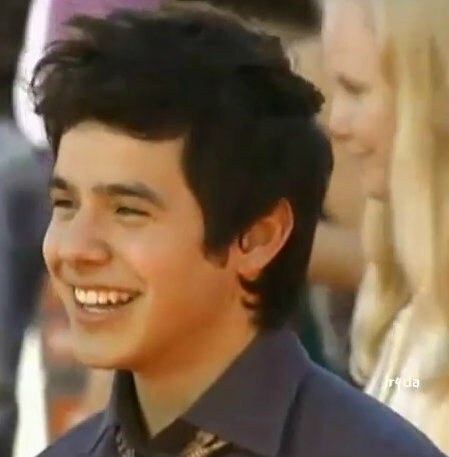 David is nominated in three categories. 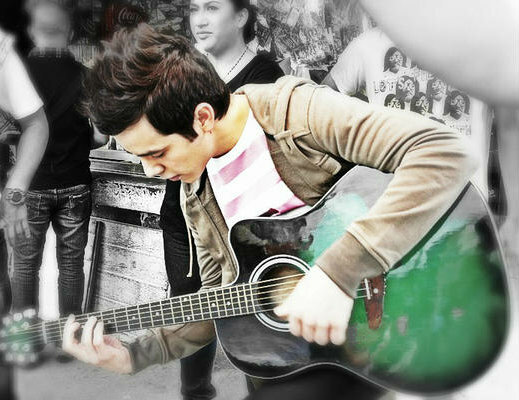 World`s best entertainer of the year. Yep, I am sooooo in need of some vitiman D(avid). Two more weeks and the sun will begin to shine once more. hahahaha I was just about to bring that here. And now Kari’s tweet???!!! Oh boy my heart is doing somersaults!!!! Thank you all! Suzy-Q that’s a very apropos song too. I used to love that one and also the song that inspired the title of this post, “Ain’t No Sunshine” by Bill Withers. I couldn’t use it for the video as it referred to “she” and so of course, not possible. The first song, “You are my Sunshine,” has a special place in my heart as my grandmother used to often sing it to me when I was a child. She always sang just the first verse. Ah spring! Here in the south, spring has officially sprung. Suddenly there are everywhere hyacinth, forsythia and daffodils, and in my own yard camellia, flowering quince, and my pear and ornamental peach tree have blossomed. Can’t wait to get outside and do some gardening and soak up the “other” sunshine. lol. Hey Fenfan look! David is in his missionary disguise ! 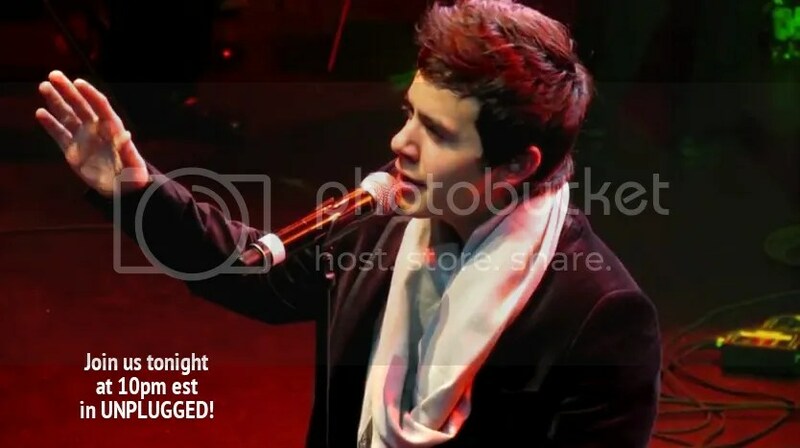 David Archuleta and Debbie Gibson presenting the Choice in Future Award at the Utah’s Entertainment & Choice Awards at the Salt Palace in Salt Lake City, UT on 5/20/2011. He was so cute as always! 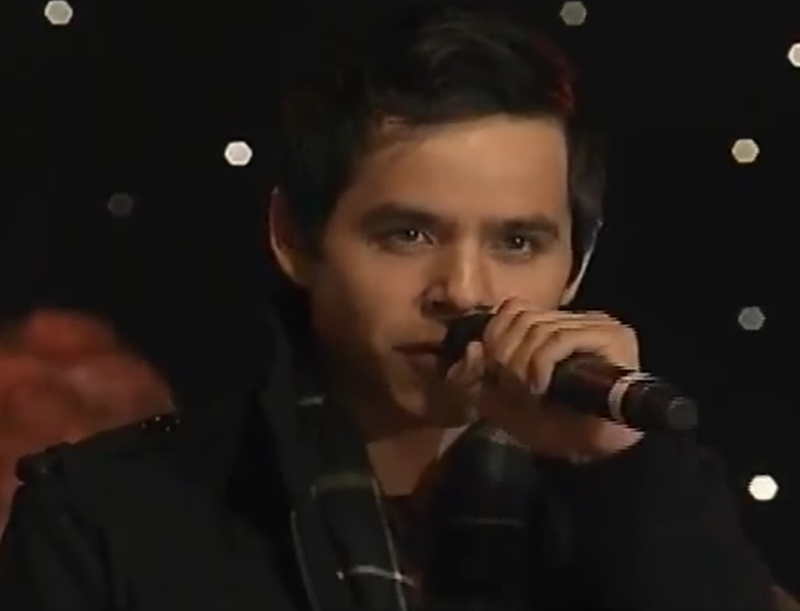 And the video from Abrra… he’s just too dang cute with those instantaneous ad libs that pop out. I didn’t ever hear any more than the first verse from my grandma, either, of “You Are My Sunshine”. Gladys, yes, we’ll have to vote, vote,vote!!!! 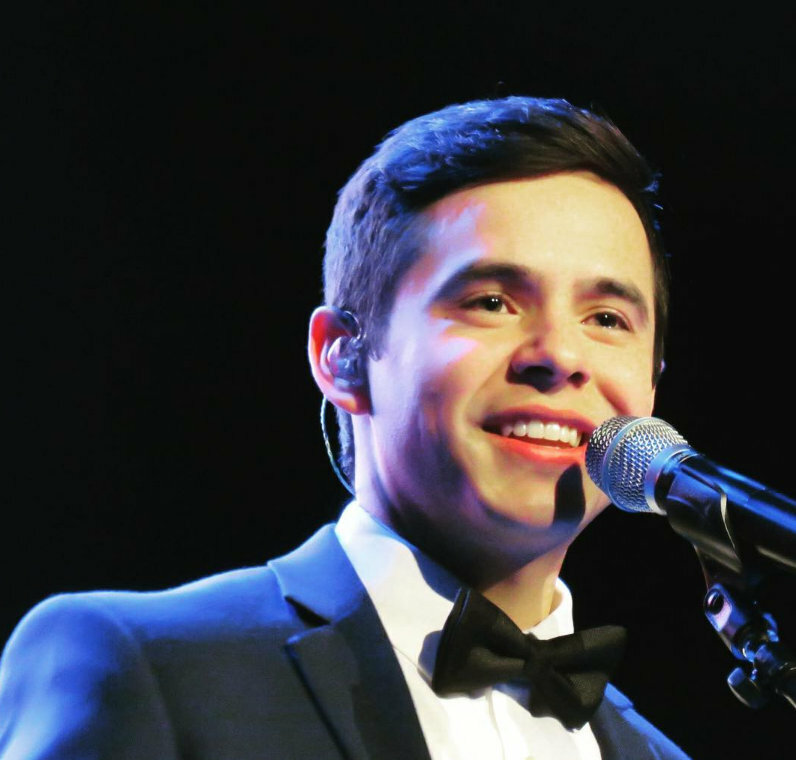 Comparing David presenting the awards back in 2011, and from the way he sings and takes over on stage in the 2013 Christmas Pageant videos, he is much more sure of himself. 🙂 2 years of maturity! 🙂 Watch out 2014!!!!!!!! Missionary disguise! You are right, Abrra. hahaha!! That jacket looks too big for him. So is he home yet????? Its nice to know we can still send cards and letters even when David is back home. @kariontour Can you please let us know, will you be sending David a box of mail every month like you did when he was on a Mission? Thx! @toocute4words I will be! We decided to keep the address available for all who still would like to write! I just paid for another year. You made my day. (smiling ear to ear now). My Dad used to sing that song to my daughter all the time,and when she was 10 gave her a lovely music box,that plays it. A wonderful reminder of her grandfather now,for both of us, and of how much he loved her. Ready for Mr.Sunshine to come home!! eeeek! (I have been busy packing like a mule,for my move),but I’m still here and counting the days till he returns! ‘sunshine incarnate’? yeah, you betcha. Angelica, I LOVED your post about Vitamin D for David! 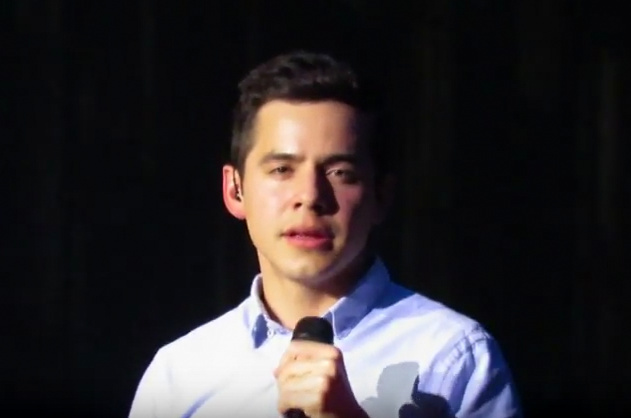 is it OK if I share your beautiful video with the Golden Archies? Micki, of course you can. Anything I have is for sharing with any fan anywhere. Hope we get to meet up again soon in Texas or Louisiana on tour. Good times! Thanks! 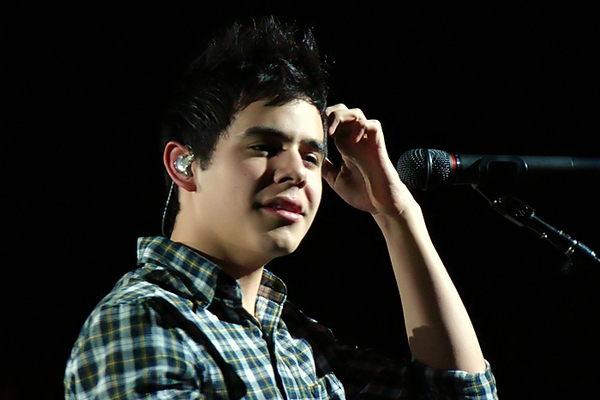 It would be fun to see you again at another David concert! 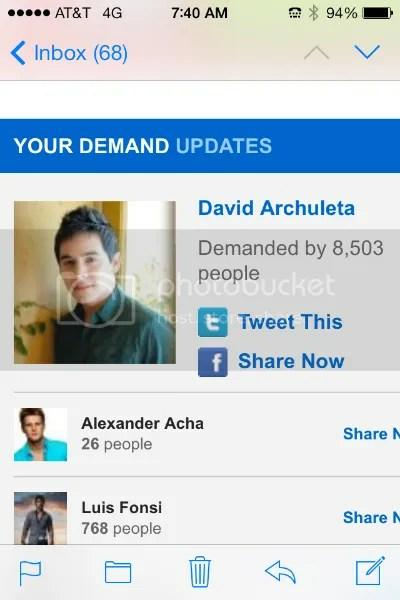 Boy, the excitement level is rising amongst David’s fans!!! Your “Here Comes The Sun” video is just what the doctor ordered until Spring officially arrives and brings Mr. Sunshine back to us! Thank you! Well, now, Angelica – you’ve diagnosed my malady! Lack of Vitamin D! Marlie, omgosh! 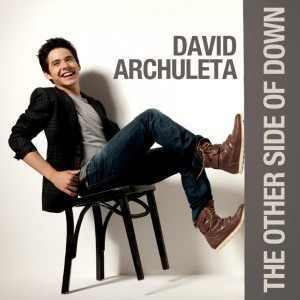 I had no idea David did that song on SS! I never watched the show and missed that video. 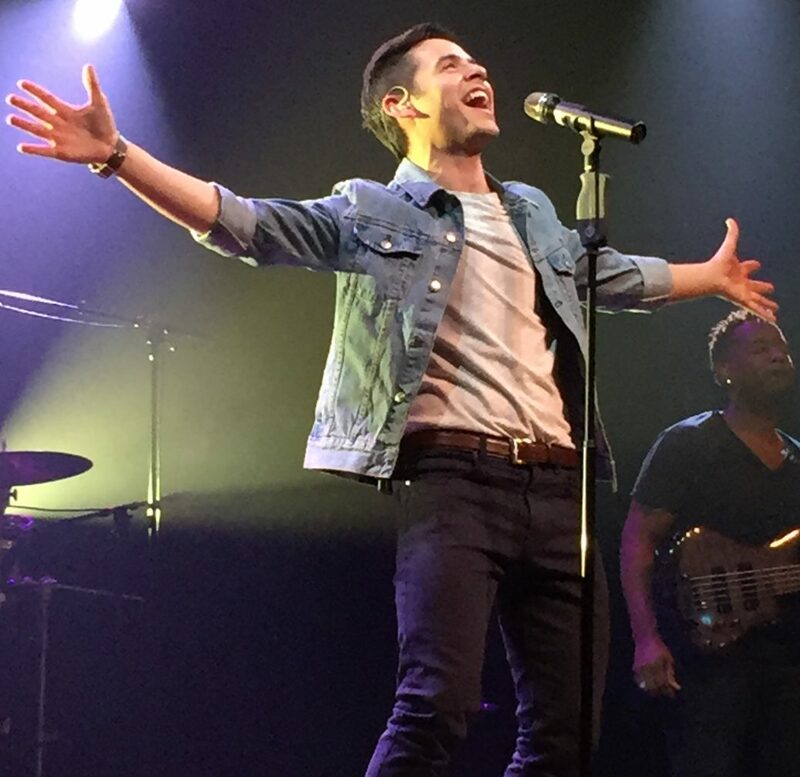 I was thinking when I named this article how much I would love hearing him sing “Ain’t no Sunshine” and bam! Love the male judge’s comment, “I can’t wait for you to become a superstar, you have an incredible complexity.” He was spot on right then and it’s even truer now. What comes next is anyone’s guess but I think it’s going to be a pretty wild ride. How I would love to hear him sing that song now or a little later down the road of life. What complexity he could bring to it then is tmth for my brain to even think about. But I’ll try. lol. aaahhh. 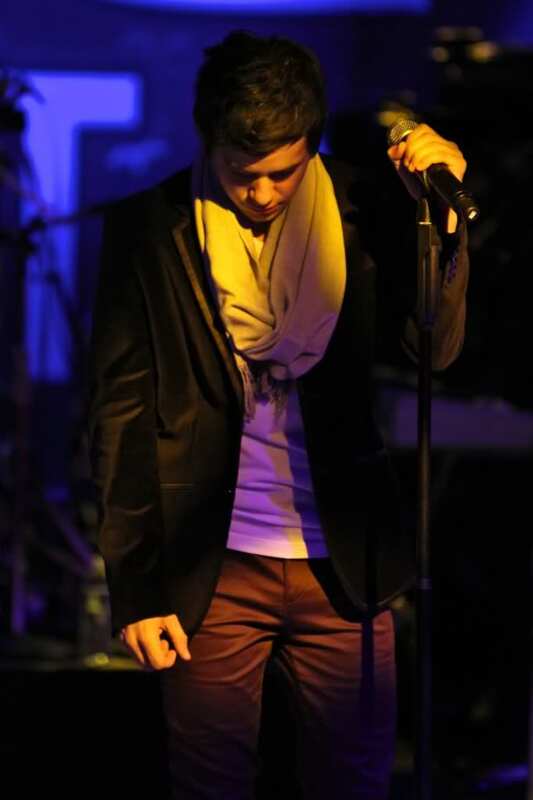 I think we should trend this weekend, #David Archuleta The Best is Yet to Come. Love the idea of trending that! Let’s make it happen! Great find, Marlie! Hat’s off to you! 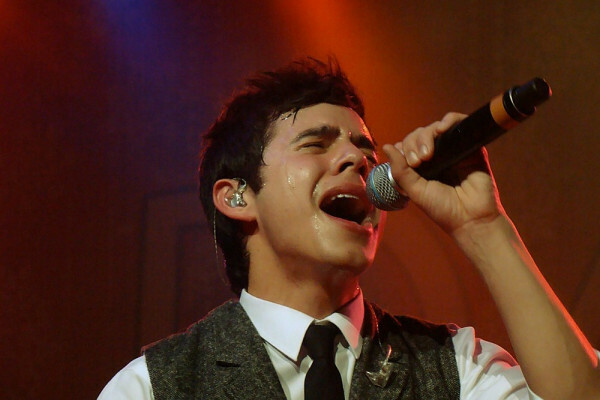 It’s amazing that at such a young age, David was able to sing with so much passion. I’m with you, Angelica, I would love to hear him sing “Ain’t No Sunshine” now. #DA2014…that 15 days sure looks good….. I haven’t been commenting much the last few days. I guess it’s because I suddenly don’t know what to say. 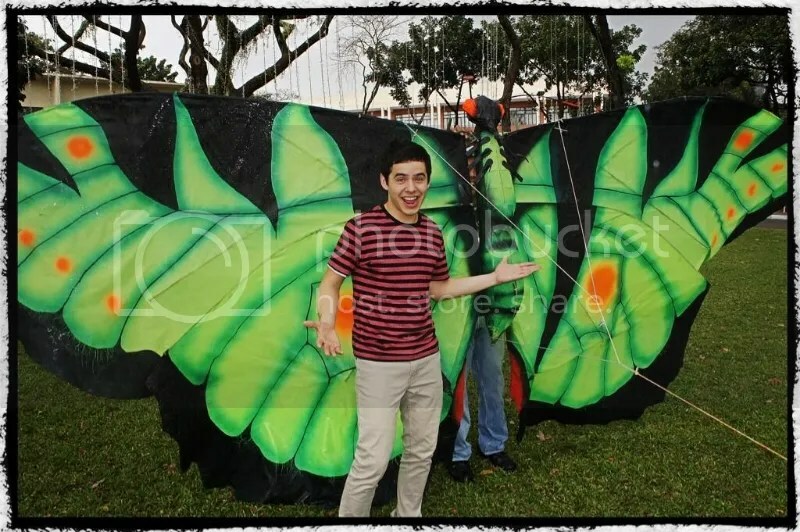 When I think of David’s homecoming, I don’t know what to expect. I’ve spent two years thinking about what he MIGHT do, what he COULD do. Now, I think my mind’s just a blank waiting to find out what he WILL do. And he’ll BEGIN. to answer us and we’ll see what he’s ready to share with us. 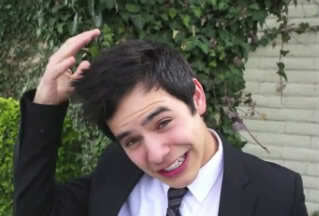 I am having a similar reaction.. David is our sunshine and our oxygen. While he is gone it feels like being in a vacuum. I get weary with guessing games. I can accept that we won’t hear from him before April 1st, but I don’t have to like it. What I tend to focus on is how David must be feeling about leaving everyone behind in Chile. He made friends and from what I have read, became a role model for many of the missionaries. That is quite a responsibility on a young man’s shoulders. My wish for David is that he can put his mission experience into perspective and leave Chile knowing he did his best. That’s all anyone can ask of a person. I’d love to try trending this. If using a hashtag the phrase is without spaces or without hashtag “only” the phrase is all caps. We have to pick one. Let me know which one and if you guys want to try…Friday? 9pm Eastern? 7pm Western? I like the picture in #28 – very much. Jan, is the center closing and the people are having to re-locate? That would be so hard on them. My parents are in an assisted living facility and I can’t even imagine trying to re-locate them and have it be a smooth transition for them. I hope you can make it work so you can continue to help them out. The stylist that comes in each week to do my mom’s hair (and the other’s) loves what she does, and it’s evident in the way she interacts with these ‘little old ladies’ (all the kindness in the world meant in that phrase). It is quite often just the lift they need for a picker-upper. pecanpie and Crush Kids’ Cancer Welcome Back project. Crush Kids’ Cancer: The Kids’ Chapter is about to set out on our own mission just before David gets back from his! In case you haven’t heard, David is due to come home from his mission at the end of this month. The Kids’ Chapter has decided that as a Welcome Back present for David, we’re about to begin our own fundraising mission! 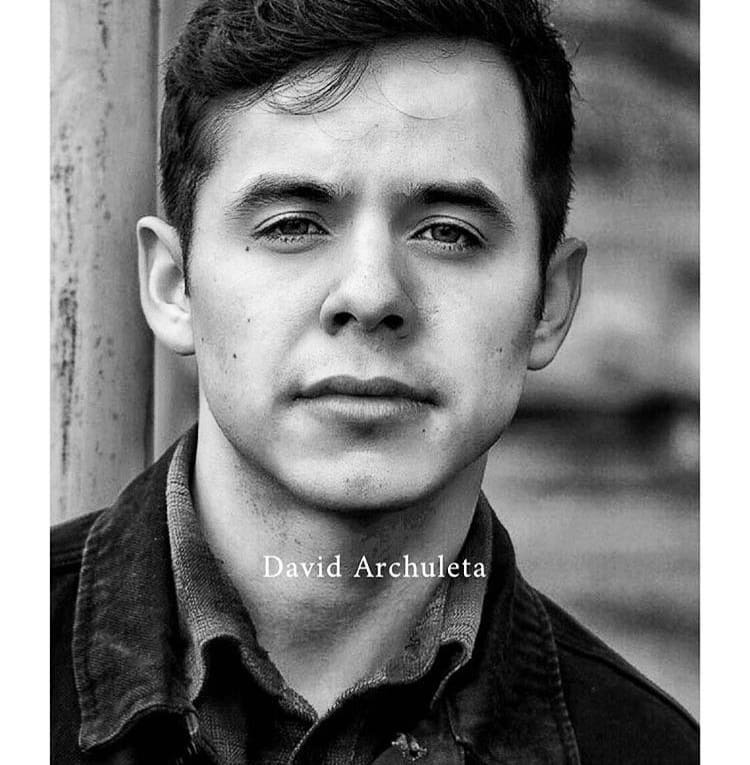 Starting Monday, March 17, 2014, our goal is to get as many donations to Crush Kids’ Cancer: David Archuleta’s Angels as possible. 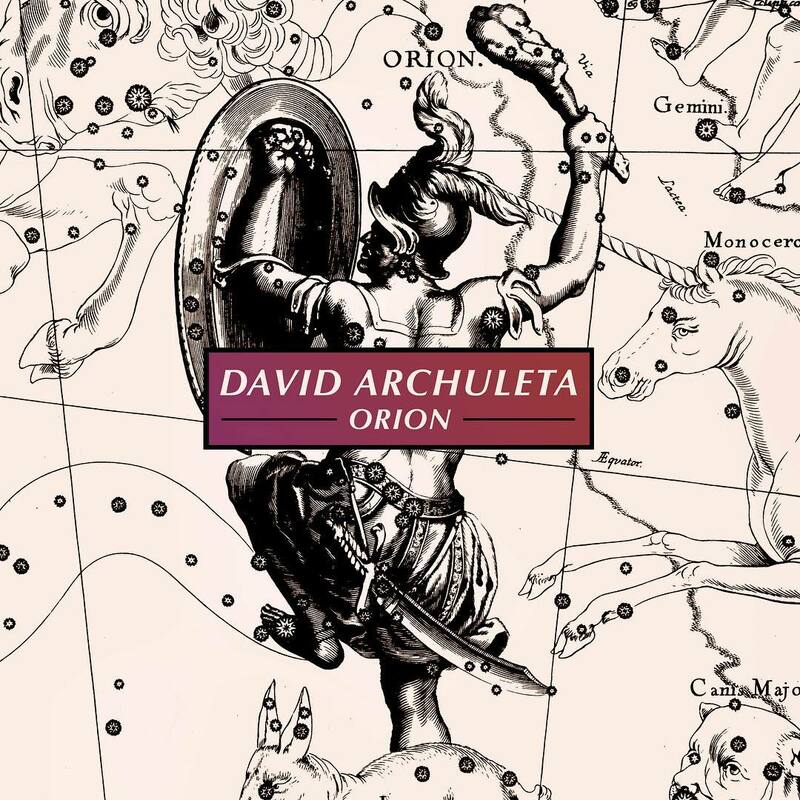 This project will run until April 1, 2014 and we will announce the total amount that was raised, as well as let David know about this wonderful Welcome Back gift from all of his fans! Tawna, yes they have to relocate and it’s really hard on them as this is their home now. They will be transferred to other ones around town that is owned by the same company. Seems as if the resident count has went down enough to not keep as many buildings open, so they are combining them. I’ve been with this company since 2001 and this is the 2nd time it has happened. Last time it wasn’t so emotional, but this time it is really hard. I’m thinking it’s because I’m more attached to these people for some reason. They keep telling me that “Jesus told them that I was going with them”. That was so sweet, ( and where the tears came in) but I told them if they had another hairdresser I couldn’t make them hire me there. I’m hoping that I can at least go in one day a week and do the ones I have been doing. Time will tell on what happens. I, too, love those “little old ladies” as they love me. Funny thing is I’m older than some of them, but in much better health than they are. And for that I thank God every day. When I see how bad some of them are and anyone can be there in a split second, like having a stroke. Thanks, Dj…love seeing David in the Crush kids cancer videos. He’s like a breath of fresh air! ♥ OMG!!!!! 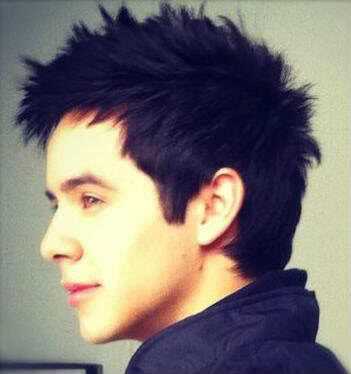 Kari sends fans a “new” picture of David from her vault. Angelica, you are the queen of the short, lovely, dead-on, fun, “make me smile”, article. Thank you so very much for sharing your talents so generously all this time (and forever… I ❤ you!). I miss you all! I plan on coming back and commenting more a bit later. MT, I wit ya, babe. 38 Jans11 I love how you speak about the people you serve. How fortunate they are to have someone like you. Even though they will have to move, I’ll bet they will always be grateful for you. And yes, anytime-sometime-in-no-time-at-all, that could be anyone of us. “No pictures!” How sad is that! There must be a way…. And I totally relate to your “roller coster” feelings. SuzyQ – that was always one of my favorite songs, thanks! And.. ."you are my sunshine"… Wow my Moms "Papa" used to sing that to us on a little old ukulele. I still have that fragile little instrument. A treasure. My hubby makes me take 5000 IU of vitamin D a day. It is supposed to have a salutary effect in warding off cancer cells. *_* But I would not be adverse to a little vitamin DA….. just as an added precaution, you know!!! Bluesky…♥ thank you so much! The many sides of David are shown in today’s puzzle. My mouse is kaput. It is very difficult to work on puzzles when using a trackpad. We talked in Chat about David in Singapore. I went looking for video after and found this. See 1:07 to 1:23 when he sang to people standing stage right – that’s when I became goo. Thanks Fen. We all enjoyed every little small detail you gave as you retold your story of being there. It was just the best! I wish more of the viewers had joined in last night. We had a good size crowd and its always better when everyone shares. Sorry about your mouse, did u try new batteries? Thanks, Abrra for the gorgeous puzzle! The colors and the subject! 🙂 Got to chat real late and everyone had went to bed! 🙂 Sorry I missed it. 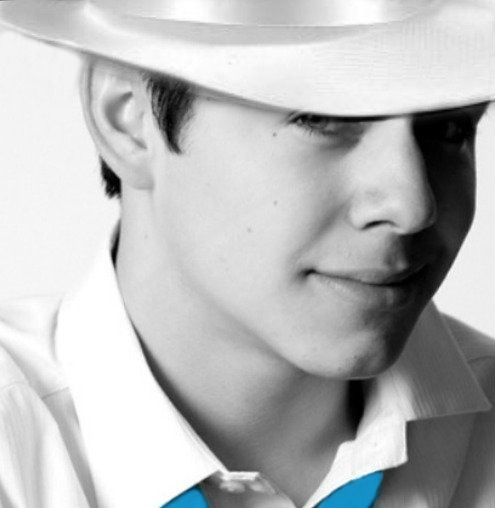 #DA2014….gosh, he may be leaving Chile tomorrow!!! EEK!!!! Had such a good time at chat last night! 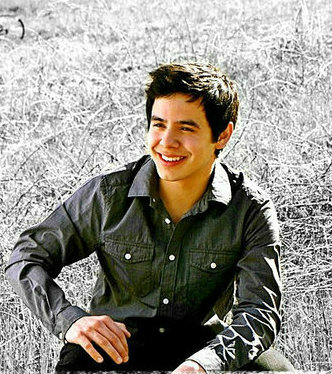 For MT and a few others who mentioned it, I divided the Elder Archuleta thread on TDC into linked pages so it would load faster. The most recent page of comments loads when you click the link. You can go back to older pages by clicking the link at the bottom that says “Older Comments”. Hope that helps you see the pics that JR posts a little better. Haven’t been around much, just living my normal life. 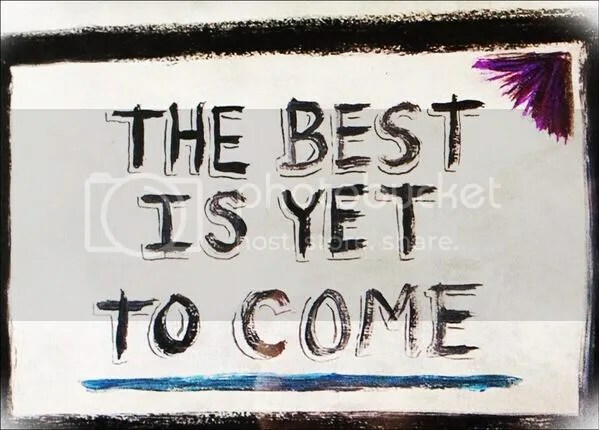 Had a vacation, had the grandkids for the weekend, working etc. The other night I threw Begin into my cd player and took off for my drive home. Please God, keep David safe. A 6.7 magnitude earthquake struck off Chile’s Pacific coast 37 miles NW of Iquique, Chile. This is north of Santiago. No immediate reports of damage, but they activated a precautionary tsunami warning having about 5,000 people evacuate the coast. I know that earthquake’s hits that area quite often, but I will be glad when David is home. There are so many weird things happening lately. I live in KS and 2 earthquakes have hit in the southern part of KS a few days ago. Not at the magnitude as Chile’s though. About half as big. As for my mouse, I changed batteries many times. It couldn’t be revived. I even called Apple tech support. The person on the phone claimed I was using inferior batteries. So I bought the most expensive and powerful (according to the packaging) ones I could find. Still dead! Happy St. Patty’s Day to all!! And that is just Jackson. No telling how many have requested him on the coast. I’m thinking a lot more from there and New Orleans. Dang! wrong account again. That was me. @ginaorr lol so he comes home in two weeks? Lets have a WWTT Party! From the trending group Linda, Gwen and Pocoelsy! 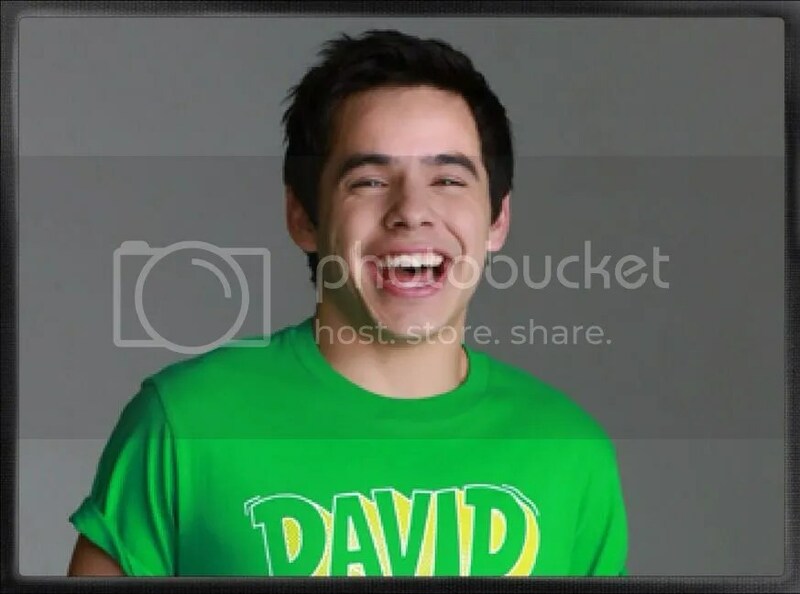 David archuleta great choice. Best if luck! I hope you weren’t too uncomfortable in chat on Saturday when you were put on the spot to tell about your first David concert experience. If you were, you can point the finger at me since I asked you to tell all. The room stopped talking and all ‘eyes’ were on you. You did such a good job of holding our attention. Thank you for being such a good sport and also for the follow up video you posted here. Tearjerker aficionado extraordinaire. My eyes are still wet from all the emotion in that one video in #64. Abrra, That is some big time sunshine right there 🙂 Oh I NEEEEEED my vitamin DDDDDD! We’re down to days now. Counting down!